Today, Sonic Drive-In offered a great deal as a one day special. 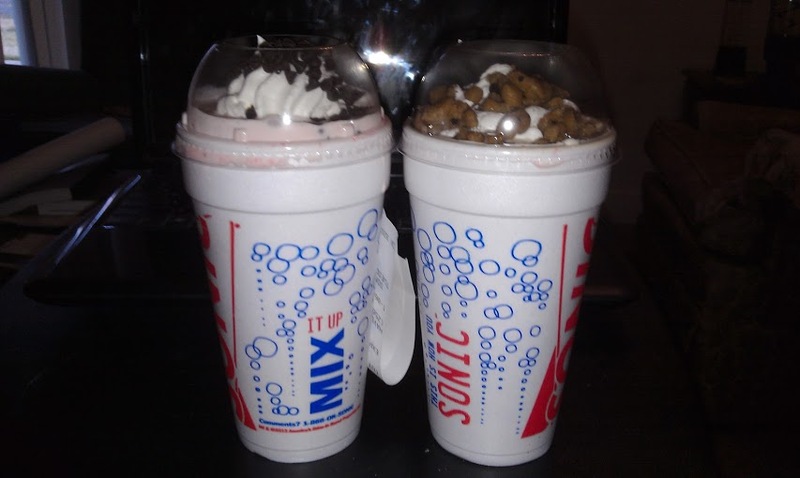 Sonic allowed anyone to buy one Master Blast, and get one free. 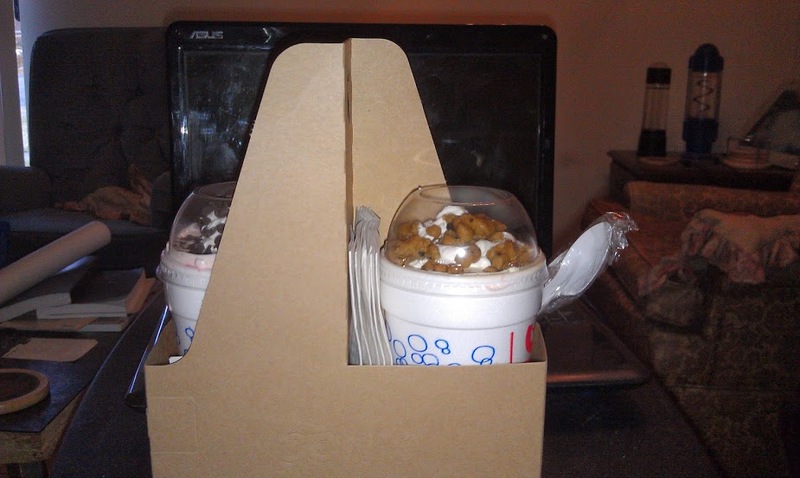 So I went down to the Sonic Drive-In next to my apartment and yes, I got two Master Blasts for the price of one. A great deal! I am glad the carhops put these in a cup holder because I walked there and back. Master Blasts are upgrades to their regular Sonic Blasts and feature special ingredients with their real ice cream. Sonic offers six different flavor combinations you can choose from, and I got the Cookie Dough Master Blast and the Banana Split Master Blast. You can also choose from Triple Chocolate, Turtle Pecan, Caramel Brownie, and Pineapple Upside Down. And yes, these were good! The banana split one features Sonic’s real, vanilla ice cream perfectly mixed with decadent chocolate chips, banana and strawberries. I did taste real strawberries and chunks of real banana in the ice cream! Yes, Sonic uses real strawberries and bananas in their products, it’s better than the artificial stuff you get at other places. Often, I like getting a real fruit slush at Sonic. This was a very good dessert! 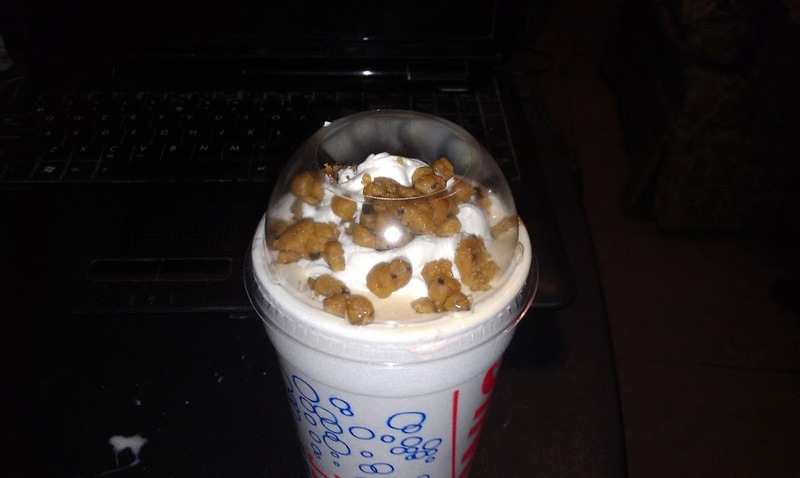 The cookie dough version features Sonic’s real, vanilla ice cream perfectly mixed with soft, chocolate chip cookie dough pieces. There was plenty of cookie dough pieces in the ice cream and it did taste like real cookie dough ice cream. 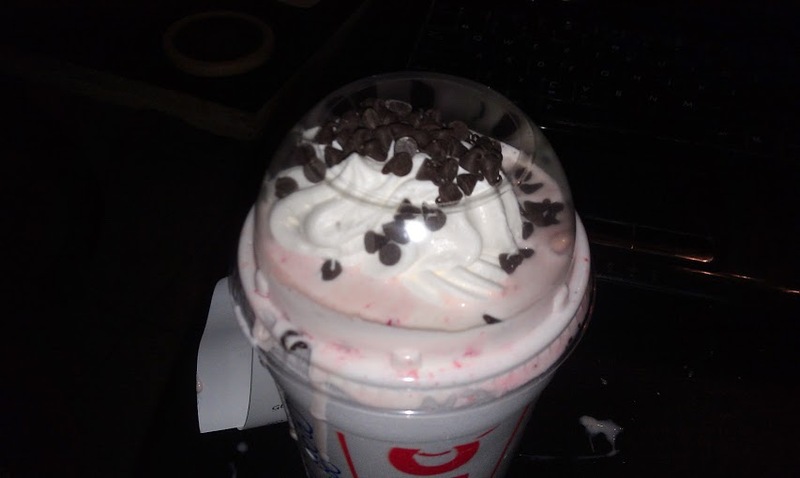 I don’t know if this was better than the banana split Blast, but it was very good as well! 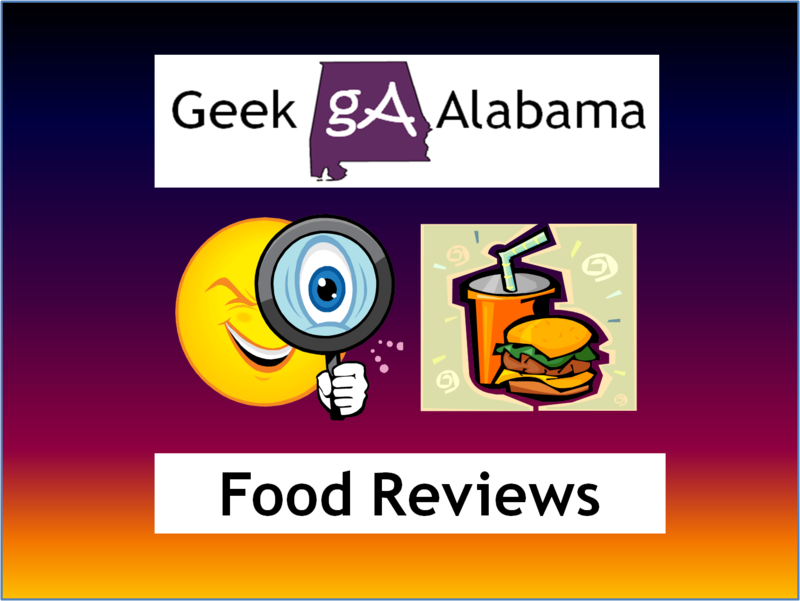 25 new shake flavors from sonic? No way!